David Bowie, tired of the rock 'n roll Los Angeles lifestyle, picks up and moves to West Berlin. Sixteen-year-old Rod Stewart sneaks into a music festival and has a coming-of-age experience. Paul McCartney dreams of his deceased mother. The rest is music history. 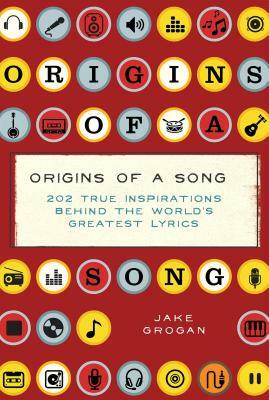 For lyricists and listeners alike, Origins of a Song is the inspiring collection of 202 true stories behind the world’s greatest lyrics. Delve into the compelling real-life stories behind the world’s greatest lyrics with Origins of a Song. Featuring profiles of 202 musical masterpieces that span genres and generations, this book explores the inspiration and creative process behind each song. Get glimpses into the inception of these timeless tunes, and learn about the individual creative process for these songwriters and musicians. Origins of a Song will not only leave you with a different perspective on your favorite songs, but it will also have you inspired to start crafting some yourself! Author Jake Grogan is originally from Ellenville, New York, and currently resides in Queens. He has a BA from Fordham University, where he studied journalism. The story behind his favorite song, "Dancing Queen" by ABBA, inspired him to pursue Origins of a Song.